Formerly widespread & common as a cornfield weed, but now scarce due to use of modern herbicides. Reddish-pink flowers appear from May to August. A good nectar plant for butterflies.Warning - Harmful if eaten. A perennial for shady sites. 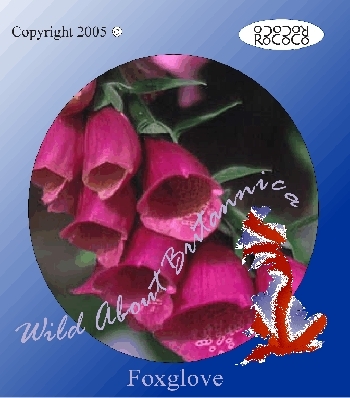 A native plant found in woods and wet sites on lime soils or fen peat. It attracts beneficial insects into the garden. Also known as “Grannies Bonnet”. Aspect: Shade or partial shade. 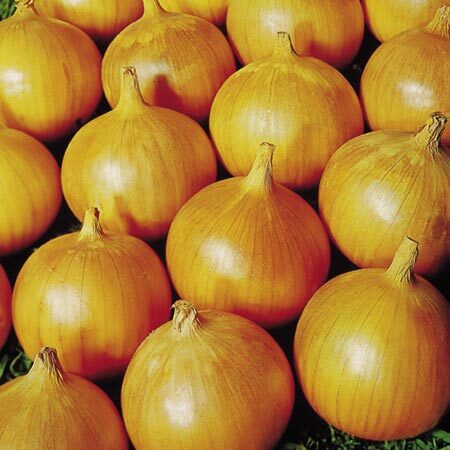 Mature plant Size: Height 90cm (3ft), Spread 45cm (18in). Soil conditions: Prefers a moist soil rich in organic matter. 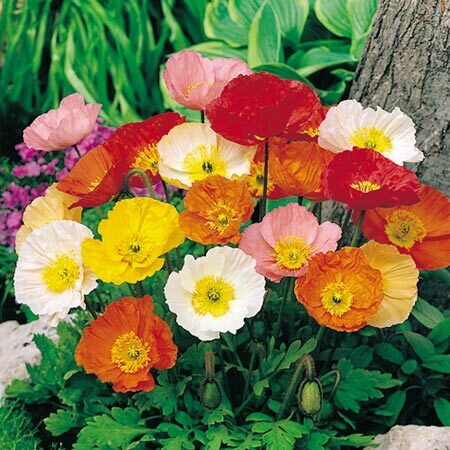 Attractive, delicate perennial of dry, grassy places, on both calcareous & acid soils. From May-September clusters of nodding blue flowers appear, 15mm long. Downy perennial of dry grassland, mostly on alkaline soils. It is common in parts of South England, but scarce elsewhere. Seeds are a food source for birds. Tall graceful spires of purple, pink or white flowers are produced in early summer. 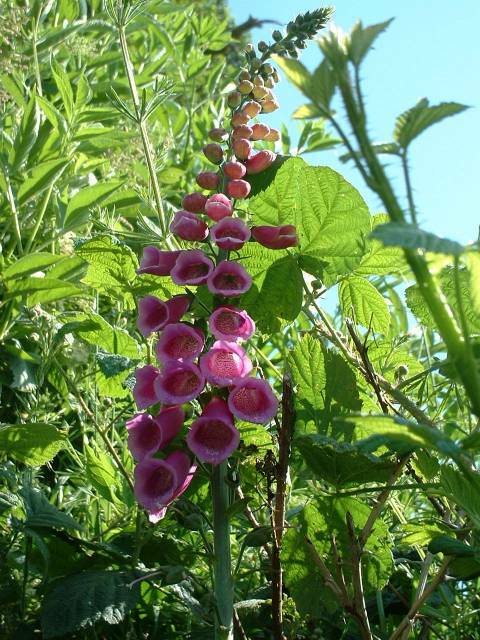 The biennial foxglove is attractive to wildlife and ideal for any shady border or woodland garden. 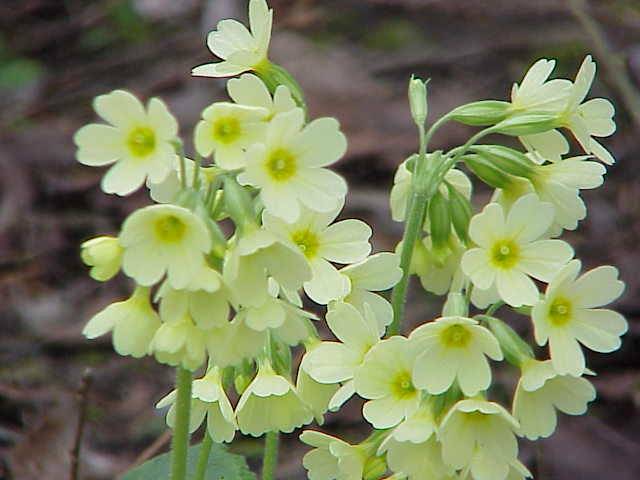 Perennial of woods and hedgebanks. 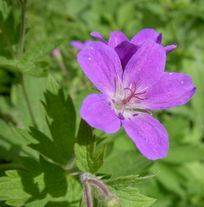 The flowers are bright purple-magenta and appear from March to May. Attractive to bees & Butterflies. Good ground cover plant. Familiar, robust perennial of pond margins, marshes and riverbanks. It is widespread & common throughout Britain. Clusters of yellow flowers appear May-August. The flag iris likes its roots in water. This perennial produces bluish-lilac flowers from July to September. 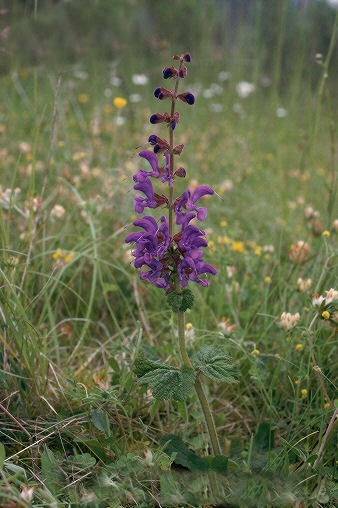 Grows well in a meadow or hedgerow habitat, the plant is an important source of nectar & pollen for bees & butterflies. 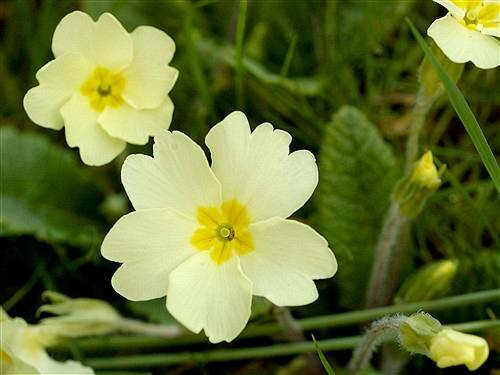 Description: Perennial of dry, grassy meadows and disturbed ground. The oxeye daisy is a common sight throughout the British countryside and is a good nectar plant for bees.